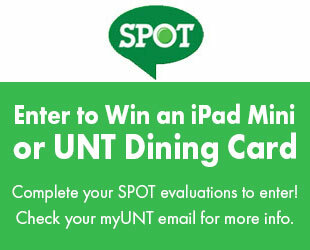 Disappointment was served under the lights of Apogee Stadium on Saturday night. 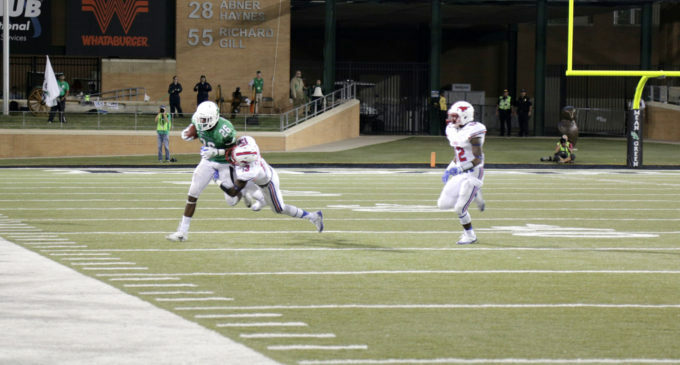 Head coach Seth Littrell was not pleased with his team’s performance, a 34-21 defeat at the hands of Southern Methodist University. Littrell was not alone. Sophomore wide receiver Terian Goree thought he and his teammates did not play their best. The Mean Green offense struggled with the passing game, as senior quarterback Alec Morris threw 24 for 39 for 237 yards and two touchdowns. But Morris had three interceptions and was on his back plenty, courtesy of SMU’s relentless pass rush. Morris was later replaced by freshman quarterback Mason Fine in a somewhat unexpected decision, given the possibility Fine could be redshirted this year. Fine led an 80-yard, 11-play drive capped by an 11-yard Jeffrey Wilson touchdown run. Wilson finished with 15 rushes for 86 yards and a touchdown. He also caught six passes for 55 yards. Wilson, a junior, echoed the thoughts of his coach and teammate. On the defense, the Mean Green got torched for 572 yards. 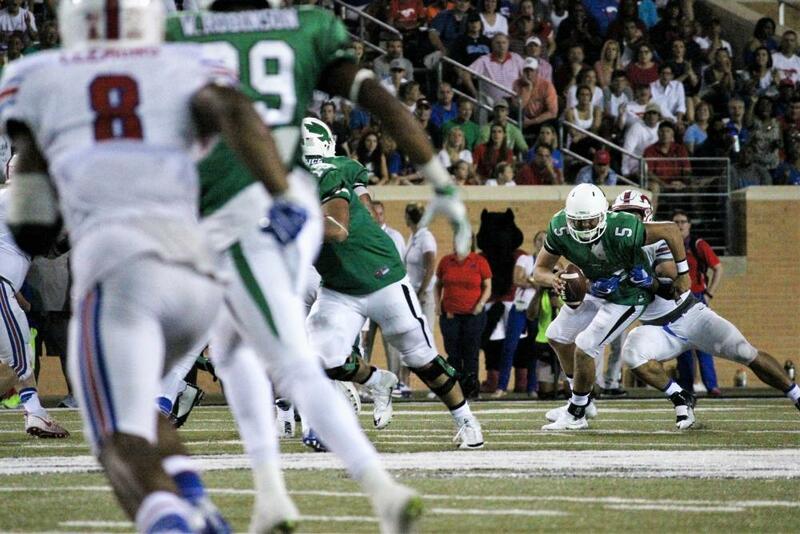 Senior SMU running back Matt Davis burned North Texas on the ground with 91 yards on 14 rushes. He was 8 for 17 for 155 yards and one touchdown. Big plays were the Mean Green’s undoing. SMU scored on three plays that were 40 yards or more. The longest was an 88-yard touchdown pass that sophomore Courtland Sutton took to the house off the arm of freshman SMU quarterback Ben Hicks. One of the biggest gut punches came late in the first half, when SMU was faced with a 3rd and 45 from the North Texas 46. After eluding the rush, Davis threw a prayer to the end zone that Sutton hauled in. It was one of eight third down conversions by the Mustangs. Despite the loss, morale in the locker room was not doom and gloom. Instead, they are looking at week two as a new opportunity. “I’m telling y’all, we’re going to win,” Goree said.